Introduction: This will be the final chapter in my Top 7 Cards series. Make sure to check out the other articles if you haven’t already. These are, in my opinion, the best seven legendaries in the game. Legendary cards are hard to find, and are even more difficult to upgrade. Especially because you cannot ask for donations of Legendary cards, which are capped at Epic level. So best way is to get the legendary chest or other high level chests. 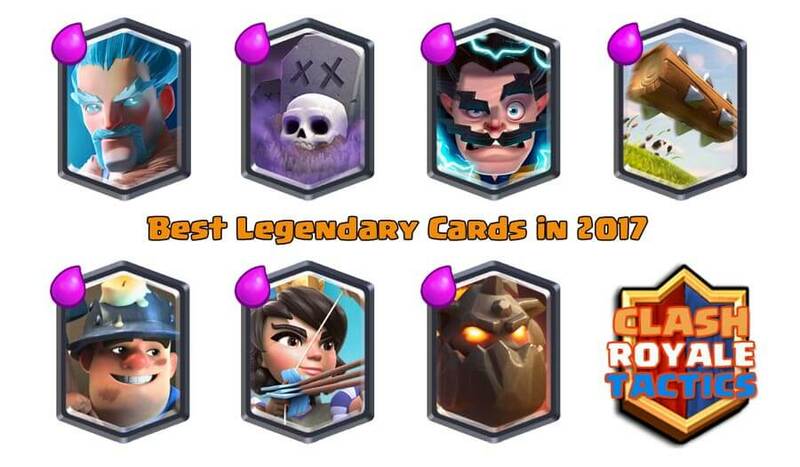 However, a deck with well combined epic and legendary cards is VERY hard to counter – especially when they are well upgraded! Hope you enjoy and don’t forget to rate us down below! 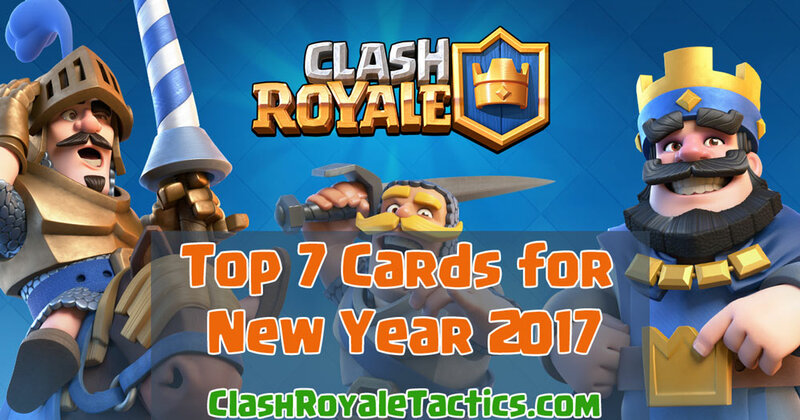 Conclusion: This is a far drop off from my Top 7 Cards list that I published just a month ago. 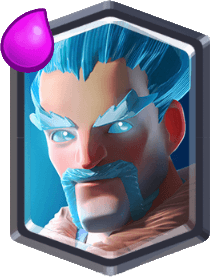 After experimenting with the Ice Wizard some more, I’ve come to the conclusion that it simply is not as strong as it once was. While defensively, it still shines, it just lacks that offensive spark that is so vital in today’s meta. Also it is very weak agains swarm troops … 2 elixir goblins can actually take out Ice Wizard if/when placed correctly .. Conclusion: The Log used to be the worst legendary in the game. Now, thanks to a series of buffs from Supercell, it seems to finally be as good as a legendary should be. Its knock-back effect can win you games, especially in last second situations where your opponent is about to get your tower. Great at eliminating troops like skeleton army and goblins, it seems as though The Log is here to stay. 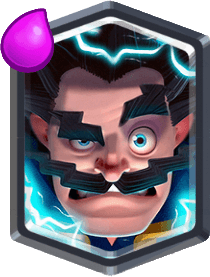 Conclusion: The electro wizard is still trying to find its way in the meta since its introduction just a couple of weeks ago. 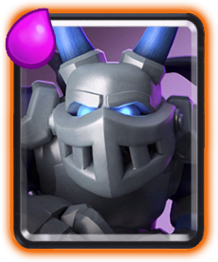 Based on the couple of battles that I played with it in the Electro Wizard Challenge, it is a formidable foe, and paired up with a tank, it can cause real havoc. While Princess is weak, and can be killed by arrows or fireball, when paired with a “meat-shield” troop like giant, it does tons of damage from afar, as it outranges the towers! 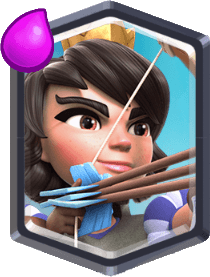 Conclusion: The princess used to be the best card in the game, by far, but due to its attack radius nerf, it no longer provides the same effect that it used to. It sometimes misses a couple minions or goblins, and this can cost you vitally. Nevertheless, its range more than makes up for it as it chips away from across the map. Description: The Miner can burrow his way underground and appear anywhere in the Arena. It’s not magic. It’s a shovel. Also, its often “hard to see the miner” in the heat of the moment and he can go unnoticed for a few seconds, dealing massive damage! 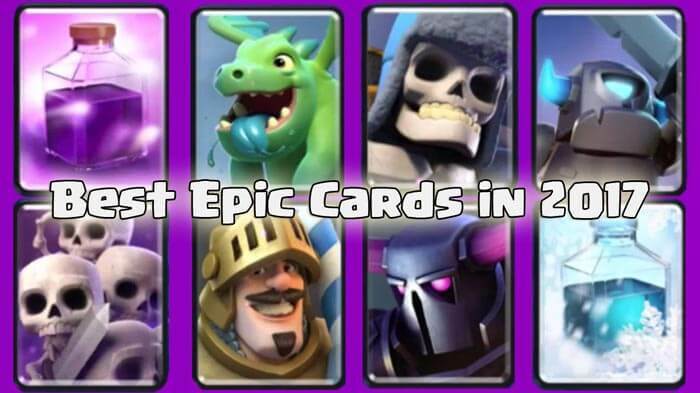 Conclusion: Unlike the Ice Wizard, the miner has retained its ranking since last December. The versatility it offers is simply too great for me to rank it any lower on this list. It can destroy spawners, collectors, and princesses for a positive elixir trade. Basically a movable knight, the miner opens up a plethora of combos that completely change the game. 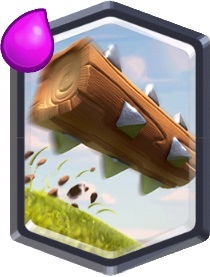 While your opponent is occupied with defending your push on one side, a bunch of little suckers pop up from under the ground and kill the king tower in few seconds .. At 5 elixir, this card can be super deadly if not countered properly. Best counters (weaknesses) are Minions / Wizard / Valkyrie. Minions just kill skeletons from the air, Wizard does splash damage, and so does Valkyrie. 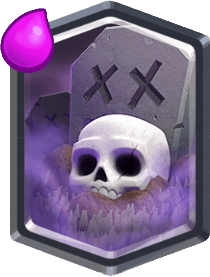 Conclusion: The graveyard is tied for the best spell in the game with the zap. Capable of destroying a tower if combined with a tank, it can cause real trouble if not dealt with properly and swiftly. As more and more players gain access to it, I predict we will see the graveyard much more often. Conclusion: These are the legendary cards that I believe are worth the hype. If you have one that’s not on this list, don’t worry, you’ll get one of these eventually. These cards are extremely hard to obtain, and you should pray for a legendary chest or a super magical. I’ve already gotten three! If you don’t have a legendary yet, you don’t need one to win. There are plenty of amazing decks that require no legendary cards at all! 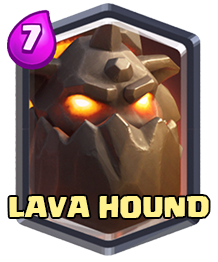 The real strength of a Lava Hound are the ups …. Once you kill the hound itself, 6 pops appear in a ring, spaced far enough that you can’t kill them all at once with Wizard or Baby Dragon. You have to kill them one by one, and you can’t one shot them with most anti-air troops … so you will need 12 shots minimum to kill the little suckers, while they do tons of damage! Conclusion: The Lava Hound’s real strength is its aerial presence. In a meta dominated by ground troops like the elite barbarians, many players simply don’t have an answer for this flying menace. Combined with a clone spell, this beast can deal huge damage. Given over 4000 combined hit points (including pups) and the fact that it’s a flying unit that is very hard to kill hard to kill, I give Lava Hound the number 1 position in this list! Honestly, for me Lava Hound is the hardest card to counter right now! Legendary cards are good to use on ANY arena, but it’s very unlikely that you will find them before arena 6-7. And you will probably go long time before being able to upgrade your legendaries (unless you buy gems). Speaking about gems – here is a working method to get gems without spending money for in-app purchases. This is a bad list don’t trust. LOOK AT THE LAVA HOUND DAMAGE. 45. HONESTLY. I think the pups are actually better then the actual lava hound. duh, the pups are the reason its good. 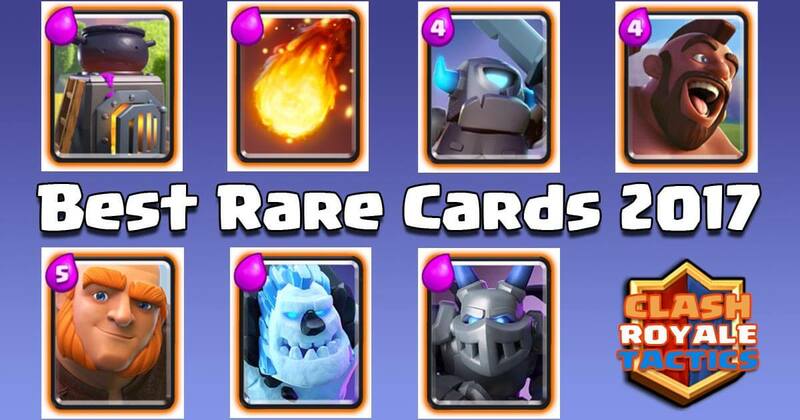 Sparky is Horrable.. Taken out by Skeletons, Skeleton army, goblins, Inferno Dragon, Inferno Tower, Electro Wizard, and reset by ice golem, ice spirit, zap, electro Wiz, ect. 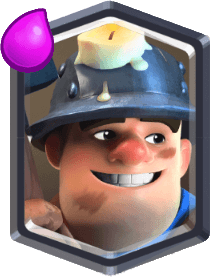 bs – electro wizard and mega knight are the best legendaries in game. Lava hound is good only in the right hands and with the right mindset. If so, I agree with this list. If you just treat it like a piece of crap, it will be a piece of crap.